Last weekend, August 27-29, Wayne took part in the Plein Air Painting Festival at Kilby, BC's beautiful historic site. 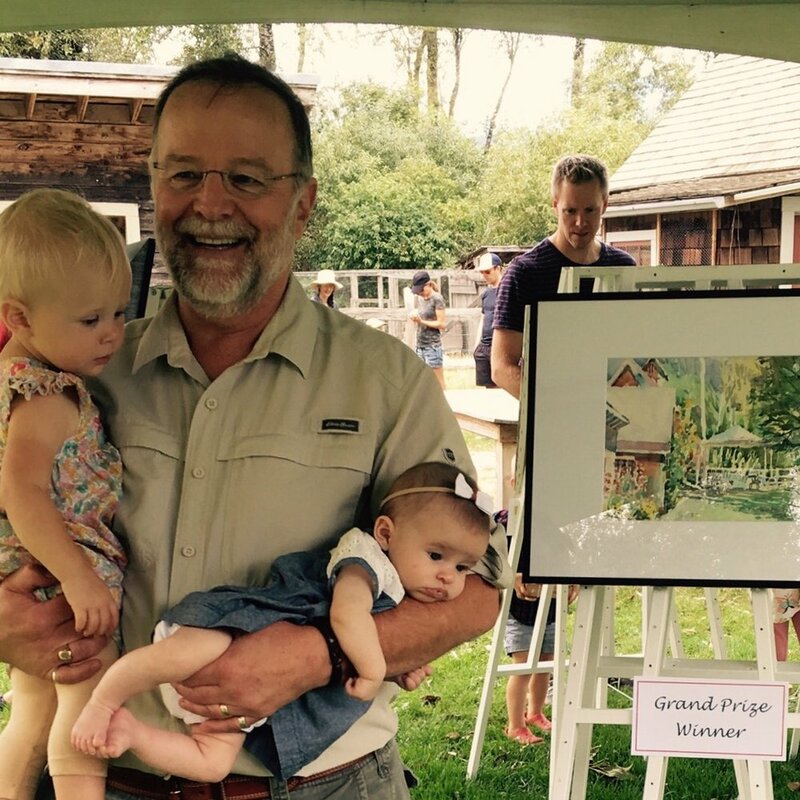 It was a scorcher of a weekend, but the participants created beautiful works of art over the two days — and we're pleased as punch that Wayne's took the Grand Prize! This event is held annually in Kilby, where there are fun activities for all ages. Next year we'll be sure to let you know ahead of time so you can come check it out yourself!